First Grade’s Jacob Cowley on the burst during his two-try display against Perth-Bayswater. ARKS Rugby Union Club went down fighting for the third week in a row following a 24-19 loss to Perth-Bayswater in its Premier Grade clash at Harrisdale Field. After falling behind early, ARKS came home strong late, but it proved too little, too late to claim victory. Their opponents dominated the set pieces early, forcing a turnover from a line-out deep in ARKS territory which led to a try, before winning a penalty try soon after due to a collapsed scrum to give them a 14-0 lead after 20 minutes. Another converted try on the half hour mark looked to have finished the game, but Russell Burges’s late five-pointer gave ARKS some slender hope at half time, despite trailing 24-5. After some desperate defence kept their opponents at bay early in the second half, ARKS got back into the game when Jacob Cowley touched down near the posts, before a missed a penalty up the other end was followed by Cowley’s second try in quick succession to narrow the deficit to 24-19. The home side had the ball late in enemy territory, but their opponents managed force a turnover and claim the win. ARKS’ Reserves side also suffered a loss after a second half blow-out to their Perth-Bayswater counterparts. Desperate defence kept the visitors at bay in the first half, but they still managed to race to a 10-3 lead, with Reon Wynyard’s penalty the only response. 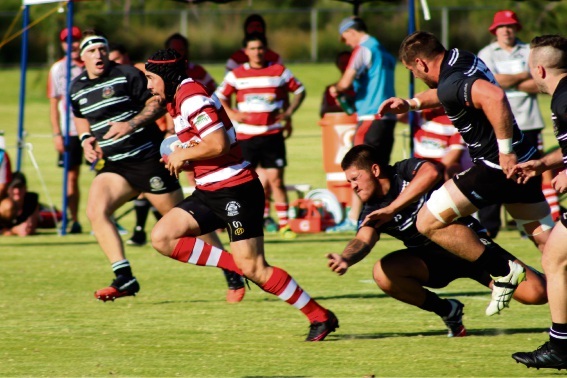 ARKS went on the front foot in the second half and gained substantial territory, but turnovers cost them dearly before their opponents scored a penalty and two tries in the last minute to blow the score out. Meanwhile, a changed third grade side came back from a big half time deficit, but fell short to Perth-Bayswater. Despite a bright start, ARKS found themselves down 22-0 midway through the first half as Perth-Bayswater showed their class. A late first half try began the comeback, before another at the beginning of the second half gave ARKS some confidence. With five minutes to go, ARKS trailed just 22-17, but a late penalty was enough to put the game out of their reach.